Lynn Shore is one of the people I’ve met since moving to the Netherlands who had a significant impact on my life. I met her when, after following her activity on social media for a while, I registered for the River of Herbs course. I have such dear memories from that course! I’ve always loved plants and was interested in healing herbs, but after living in big cities for many years, I’d left this interest behind — with the exception of the occasional tinctures I would buy from the plant shop. 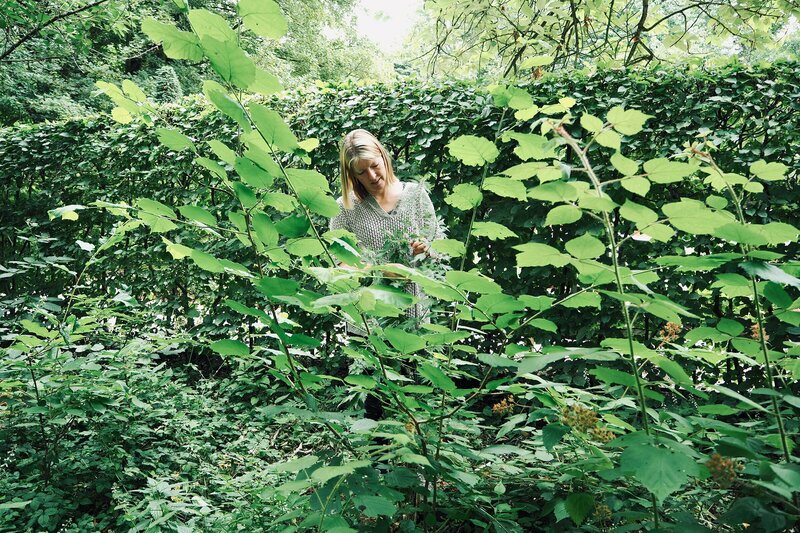 Lynn helped revive my passion for wild plants and their healing power, while showing me how easy it was to have access to them even within the city (especially in a green one like Amsterdam). She sees plants in a unique way, she looks at them and sees their power, their utility and their beauty. I consider Lynn a modern-day witch. A white witch, no doubt about that! We met for the photo session at the River of Herbs orchards, next to the Merkelbach restaurant in park Frankendael. It was difficult to take pictures of her because she was a bundle of energy, moving a lot, showing me all the herbs in the gardens, plucking, picking, tasting, pulling and cutting plants. I got to taste a root, lick some sour seeds and left home with my backpack full of plants to make tinctures and ointments (motherwort for feminine welfare and comfrey to heal scars). When I started the interview series on this blog, Lynn was on top of my list for potential interviewees. I’m excited that she took the time to answer and I can introduce her to you now as well. 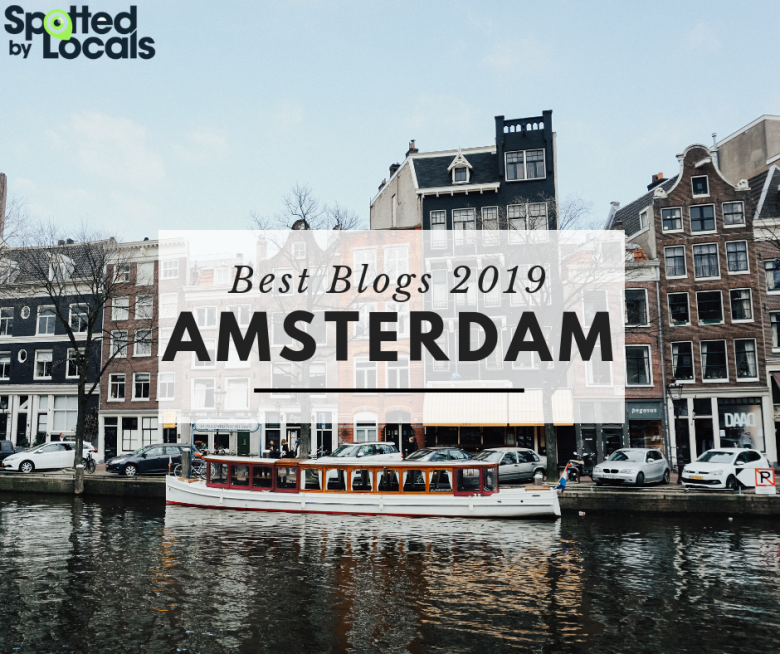 Could you start by telling me about your background and your journey to the Netherlands? Hi Dana, I grew up close to Bristol in the UK west country, studied genetics at university, got a little disenchanted by working as a scientist for a while after that and then became a science teacher. I worked in Somerset, on the edge of Exmoor for about 7 years and loved it there, it’s a stunning place. I moved here in 2005 from looking for a change and to experience city life outside of the UK. Good things came fairly quickly for me here and I have not looked back. Where does your love for nature and plants come from? I can’t remember ever being disinterested in nature. 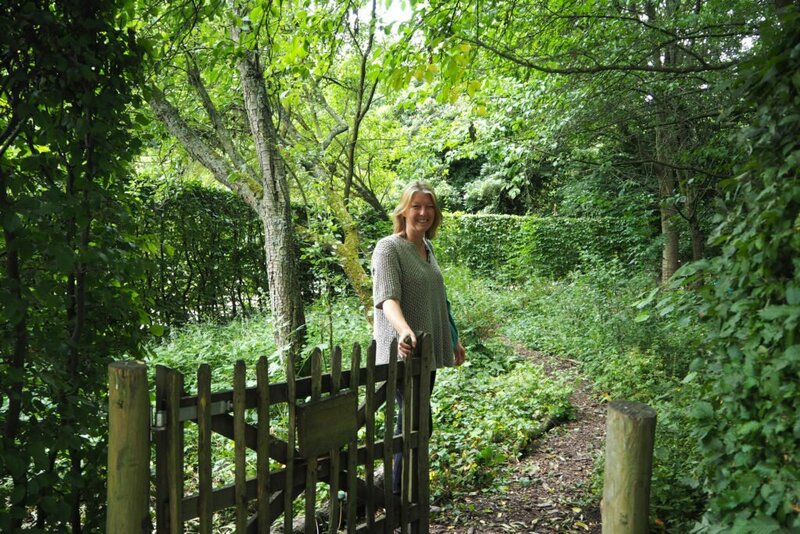 Most of my early memories are of being outside, investigating how animals behave, growing plants and drawing plants. I always loved growing food and interesting plants. Animals amaze me but plants really fascinate me, I just love being around them and learning about them. My family were always very encouraging by giving me seeds, cuttings and space to grow things. I’ve been like this since I was tiny. I’m amazed every time I am around you – it seems as if you have unlimited energy, good advice, and good vibes that you share with everyone. Where does your energy come from? Is it really unlimited? That’s so kind of you to say. I certainly do get tired sometimes, actually I sleep a lot but if I’m excited about something, my energy seems to come from nowhere. When I’m working on a project that I totally believe in, it becomes an obsession, it’s all I want to do and I have to see it through. I’m not a good multitasker, but I’m pretty good at snatching moments of time, between other tasks, and that’s how I get things done. If you think of something that is important and has to be done, I say do it — don’t just think about it. Talking about your projects, what are you working on right now? I’m really excited about teaching Urban Herbology Apprentices again this year. Helping city people to find and use edible and medicinal plants that grow around them, is really important to me. If we all lived in closer harmony with city nature, I feel the world would be an even more beautiful and sustainable place. Working with apprentices is the best way I know to share skills and knowledge. My aim is to make a gentle impact on the apprentices’ businesses, lifestyle, families, friends and the environment — a ripple effect. The apprentices follow a course, meet me for walks and workshops and build great connections with each other. The River of Herbs orchards are going strong! These are four beautiful wild herb-filled orchards behind the big land house in Park Frankendael. I love that place! We adopted the gardens from the local council several years ago and maintain them for local wildlife, to grow useful plants and as a great place to connect with other city nature lovers. The team meets each Monday morning, it’s very relaxed and nourishing to be there. Gardening is so therapeutic, it can make such a difference to people’s lives. All sorts of issues have been solved over a cup of herb tea in those gardens! This year, I am also getting very excited about Apicentric Beecare — beekeeping where the bees really come first — no rectangular hives and frames, just bees living they way they live best. Apicentric Beecare is as natural as can be, it helps their health and the environment. We are part of that environment so it’s in everyone’s interests. One of my past apprentices, Chantal, is equally impassioned so we are planning actions to help change the way bees are managed. This is really getting me fired up at the moment! I was an active part of River of Herbs a few years ago, and I still like to consider myself as a participant to this project. 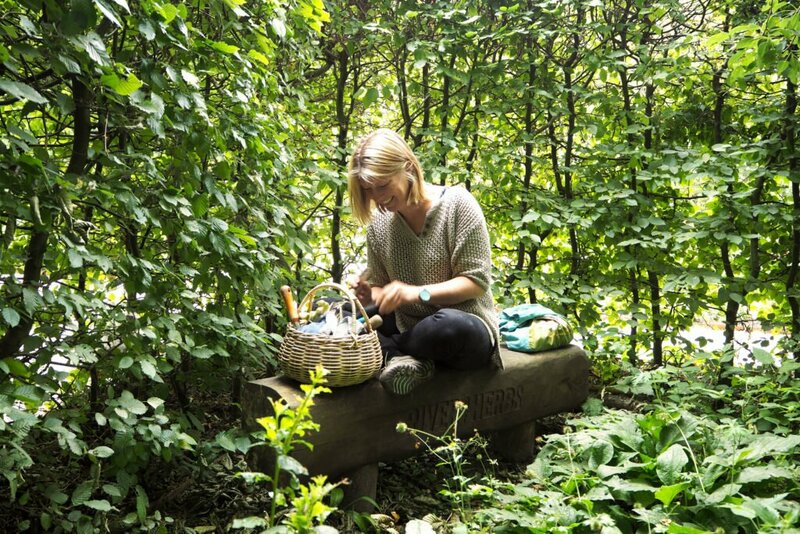 I do as much as I can — I have a garden with herbs and bee friendly flowers, I do foraging whenever I have the chance, some guerrilla gardening here and there… But what is River of Herbs about nowadays? Urban food security is a massive area of interest for me. I researched it for my MPH masters dissertation and then thought — what now? What can I do with this? I had just had my daughter and was not looking for a job but I so needed to try to make a small impact. My way was to start teaching people in Amsterdam how to grow edible and medicinal plants in the city streets — on their door steps, in tree pits, roof terraces, balconies and in bigger spaces. There is a lot of green in Amsterdam and some of it is edible but I want to see most of it being edible and useful to Amsterdammers. There are many reasons for this — if people can eat it, they are more likely to care for it. If the place is cared for, it looks better and crime levels go down. When people grow in the streets, neighbours talk, they connect and good things happen. When we know how to use the plants, for simple remedies and food, we become slightly less dependent on the commercial system which makes the city vulnerable to food insecurity. Then there are the reasons linked to access to local food and so on. The list of reasons is massive. Can you think of a setback you encountered during your work as an urban herbologist? I had a fairly serious bike accident a few years ago and that set me back for a while. It took about a year to recover but the break did me good. Local plant remedies and my green friends certainly helped! Is Amsterdam a good place to be for someone interested in urban herbology, gardening, eco-living, and so on? It’s an awesome place for these things! I feel that everything is possible in Amsterdam. 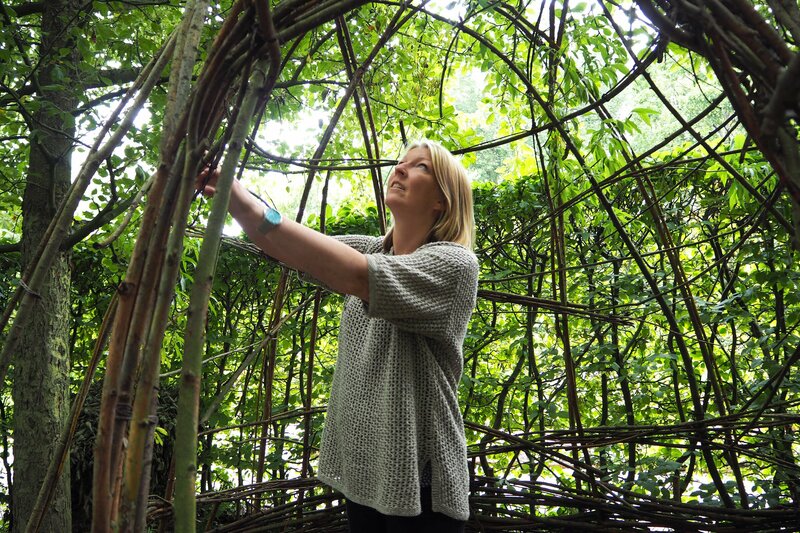 There is so much plant diversity here, so many community gardens and eco-projects to get involved with and there are countless great opportunities to get involved with. Connecting with other like minded people amplifies what is possible for anything. I find a lot of like-minded people in Amsterdam. Possibilities are endless if your eyes are open to them! Are you a modern-day witch? I guess so. A lot of people say so and I certainly work and live in that way. Being in harmony with nature is a very important part of my life. I work with herbs, plants and animals equally happily and find it difficult to see why everyone else doesn’t want to. This is a lovely way to connect with your surroundings. Can you tell me more about urban foraging? How often do you forage and where do you do it? I forage most days of the week for a little something. My aim is to leave no trace, only take what I really need and to enhance the land that I harvest from. I focus on foraging herbs, so naturally I only need a little for the flavour or medicinal effect. Foraging goes through waves of popularity, sometimes being really hip with everyone trying to get in on the action. This can be great but, I feel really strongly that urban foragers must understand how to do it ethically and safely. We should use foraging knowledge as a way to improve the city, rather than stealing from it. This is also another way that I hope to empower people to be less dependant on supermarkets for their food. The local plants cannot provide for everyone living here but how wonderful would it be if more people cared for the local environment and grew more edible plants? There is so much growing here, from gingko and hazelnut trees lining streets, to tiny chickweed in neglected plant pots. There is so much here, so much to learn and so many ways to improve how we are part of nature. Is your daughter interested in gardening and foraging? Yes! And she is rather good at it. I try not to push it as any interest she has should come from within her but she has been foraging with me since she was born and I hope she always remembers how to work with the plants. It is a wonderful thing to be able to do. What would be three pieces of advice that everyone could follow to make their life greener? Choose one familiar local edible plant and learn all you can about it. Start with Bramble perhaps. We know the berries are tasty, but did you know the leaf buds make a great tea and the whole plant is medicinal? Go out in your neighbourhood, look for forgotten green places and adopt them. Grow useful plants there and see other local green spirits find you. Buy only what you truly believe in. Consumers have more power than they realise. Vote with your wallet. Anywhere that I can look up at the sky through green leaves and hear birdsong. Breathing fresh spring air, in a woodland. Dark chocolate on other occasions.